In this post I’ll finish up my brief analysis of the Chevrolet Super Bowl XLV commercials. In this part you’ll see the second Cruze and Camaro commercials as well as an overall brand Chevy brand-awareness commercial. Why? 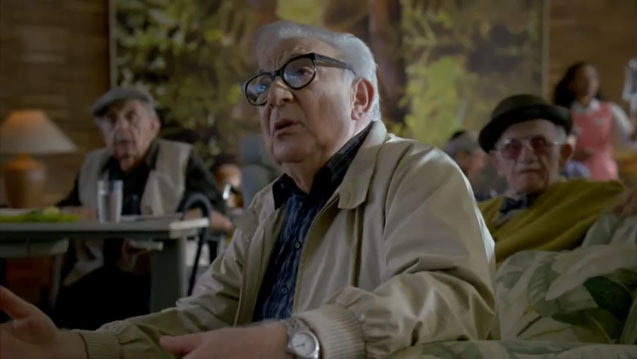 Sure this commercial is funny, but it is hard to have old people in your commercial and not be funny. They could have taken a few more chances here but didn’t so it falls in the middle with me. Why? Sure it was predictable but you can’t go wrong with Bumblebee tossing someone across a parking lot! Chevrolet wants to let us know that they can go beyond making cars and trucks. Why? This is just a quick PR puff piece. Sure the intentions are noble but this isn’t really anything we haven’t heard before. They could have gone without this one. What do you think about this second set of Chevy commercials? Let us know in the comments. ← @Chevrolet Super Bowl XLV Ads Part 1: Fresh? Wack? Or Meh?